I have no pictures for the God-gifts discovered this week, but never fear, on Saturday my church had a high tea. 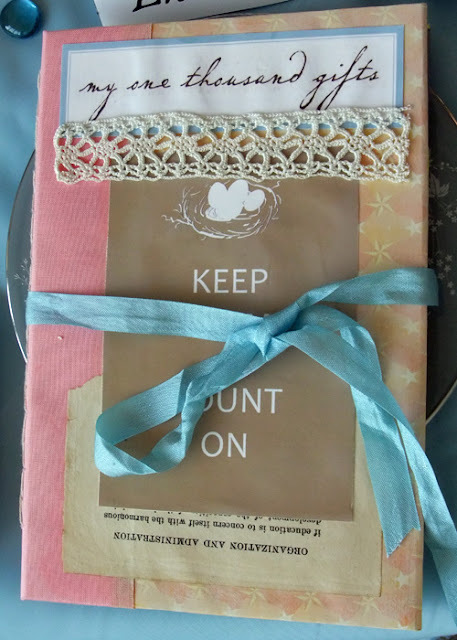 I was hostess for a table (epic pictures here) and gave Joy Dare journals as gifts to my table-guests. I handmade all the journals shown (except one, because I miscounted during the process oops, so that person got bought journal from my stash of journals because I do have a thing for stationary, and this run on parenthesis has gone on for far too long). 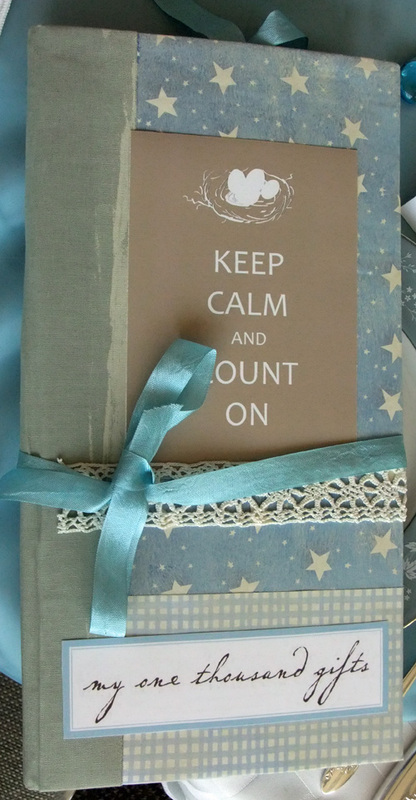 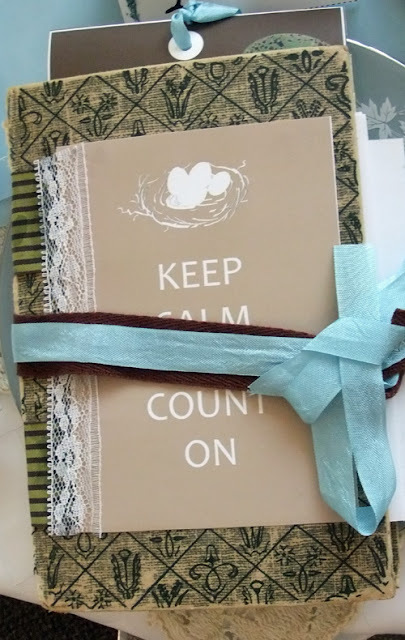 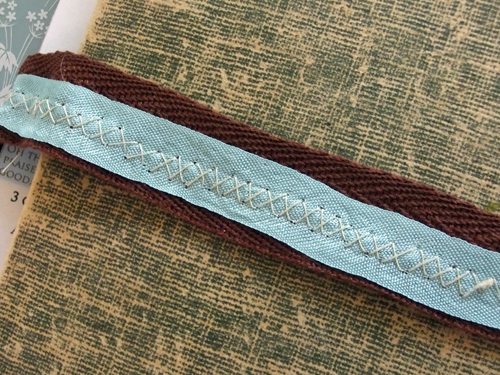 Pictures of the handmade journals and their covers after the list. 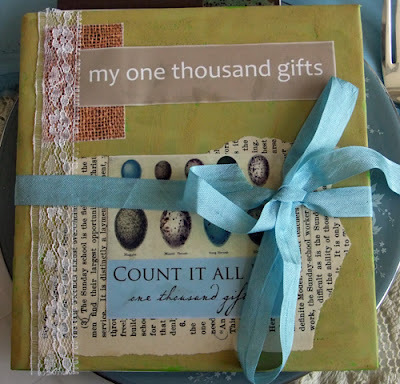 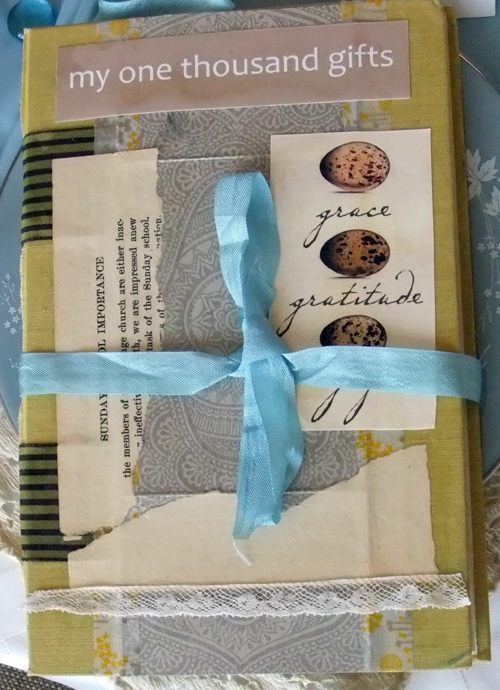 I used images from Ann Voskamp's Joy in A Box for the covers and for the pages inside. I hope my guests enjoy using them!